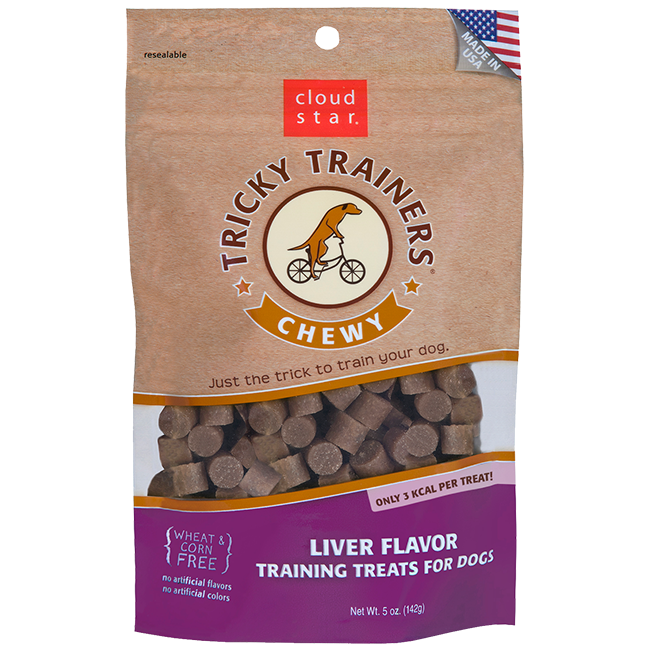 I usually go for the liver Tricky Trainers, and will do anything my human wants me to do for these treats. I will usually receive 2 per meal, and sometimes extra if I am asked to display my many tricks for the amusement of my human. I will even do some of my tricks just to remind my human that I should receive one of these treats. 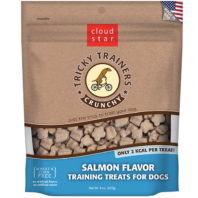 Most of the time my human cuts each treat in half with her fingernail, just so that I will do more tricks and my two treats will now be four. 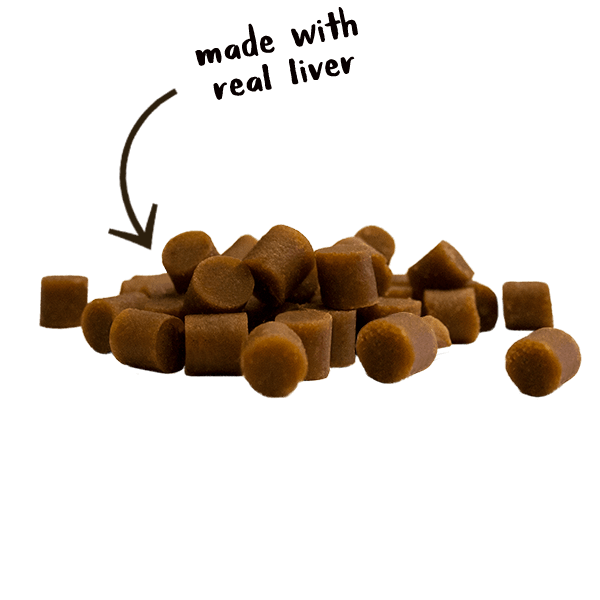 Lucky for me these are soft enough to cut in half and I get more treats that way. Duh. Our organization adopts unwanted dogs from local shelters, trains them to Service Dog certification, and then donates them to Veteran, First Responders, and individual that benefit from their specialized skills. 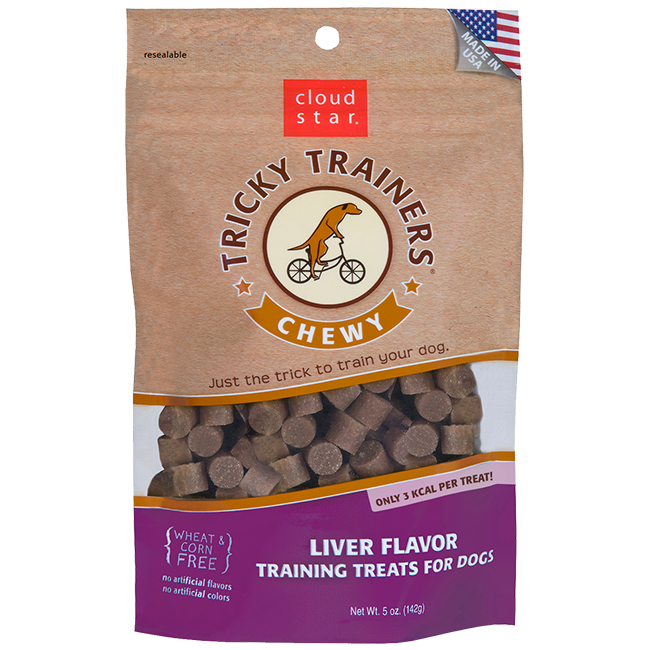 We are using the Liver Flavor -Tricky Trainers as a training tool and have found them to be an exceptional reward. Training to Lead has found them to motivate dogs that are not food motivated. 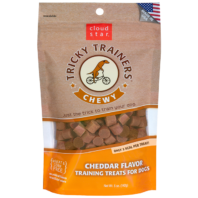 We are now recommending them at our public “Basic Dog Training Class”. I have yet to find a dog that refuses the treat. 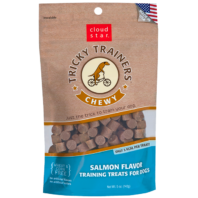 Having the dogs excited about the treats make training much easier. 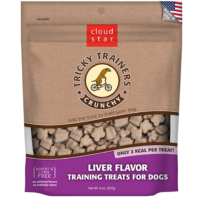 My two dogs really like these, and respond eagerly when they are used for training. 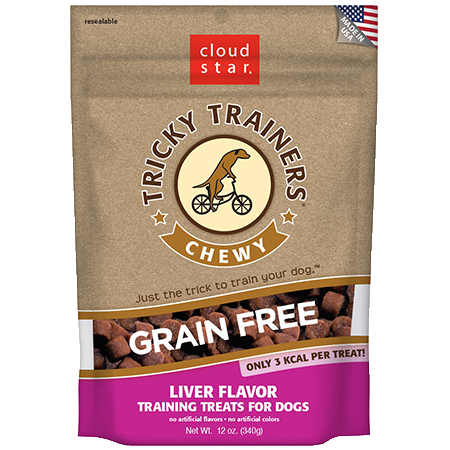 My dog LOVES these! 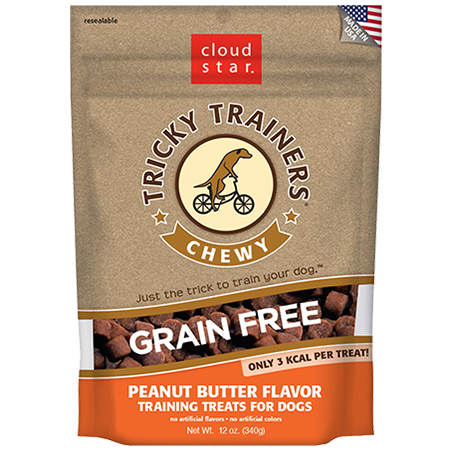 Sometimes we take them to the dog park to work on training and other dogs will literally follow my dog or I around because these treats smell so tasty. One dog even started licking my dogs mouth after he ate one. 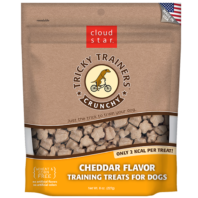 Needless to say, these are great, I think most dogs love the flavor, the size is just right for training, and as a consumer the size of the bag for the price is very good.